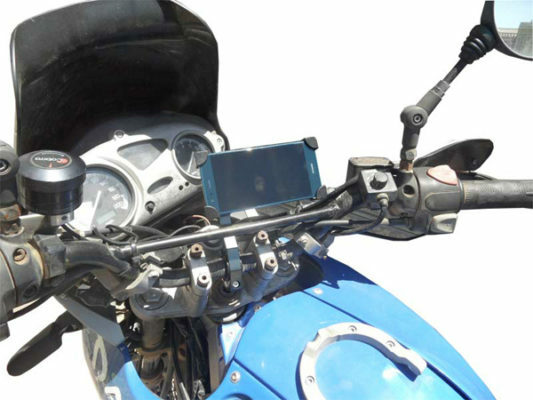 Modern cell phones can be an indispensable aid for bikers as a GPS navigator, music player or a communication device (when paired with a helmet headset such as Sena ). It is no surprise then that riders are relying more and more on their smartphone devices when riding however securing your cell phone has, until now, been a hit and miss affair. The cradle is not strong enough for off-road use, requiring additional measures such elastic bands to ensure your phone stays where it should. An inability to accommodate different phone sizes. Cell phones are expensive items, so why compromise on the holder that will protect them? 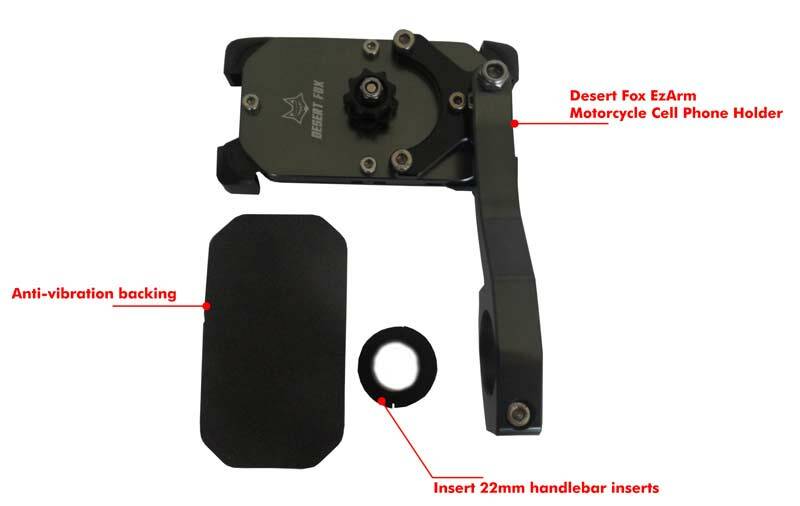 We believe Desert Fox has addressed these issues with a robust and easy to use motorcycle cell phone holder manufactured exclusively from CNC machined aircraft grade aluminum. 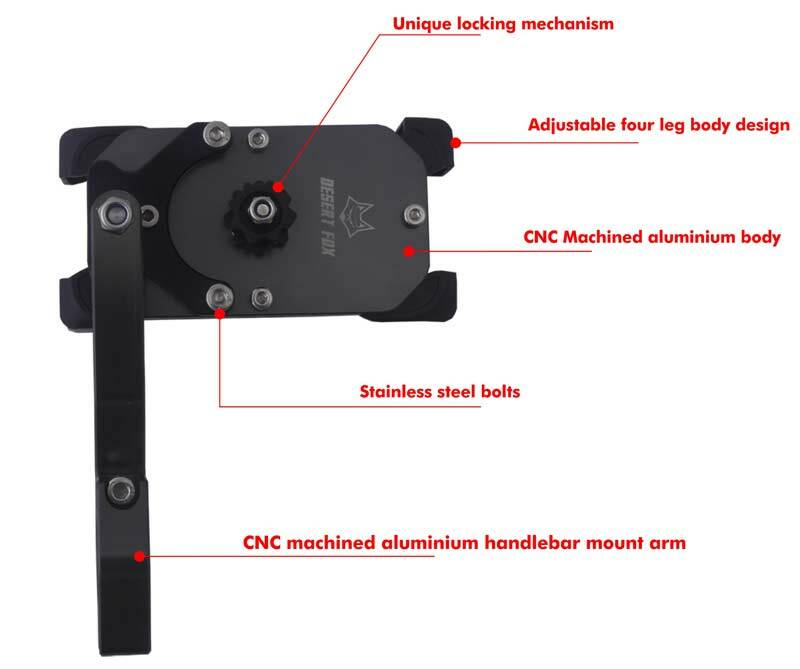 A CNC machined Handlebar mount arm (with adaptors for varying handlebar diameters). 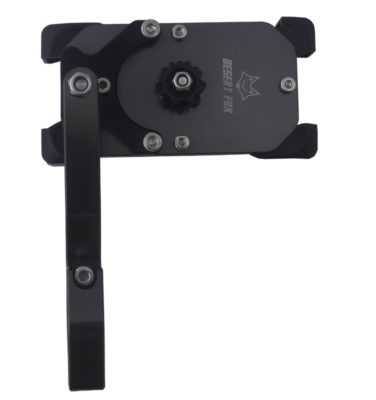 The benefit of this machined mount arm is unparalleled strength and an adjustable viewing angle. Simply set it at your desired viewing angle and forget about it. All bolts are stainless steel and the holder base is CNC machined Aluminum for additional strength and long life. 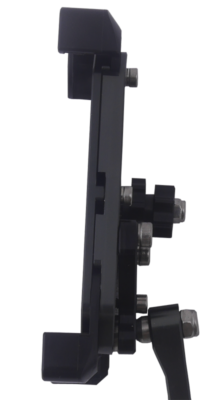 An adjustable four leg design (for various phone sizes) ensures your screen is not hidden behind foam pads and plastic. A unique locking mechanism ensures your phone stays where it should and requires no additional safety tethers or elastic bands. 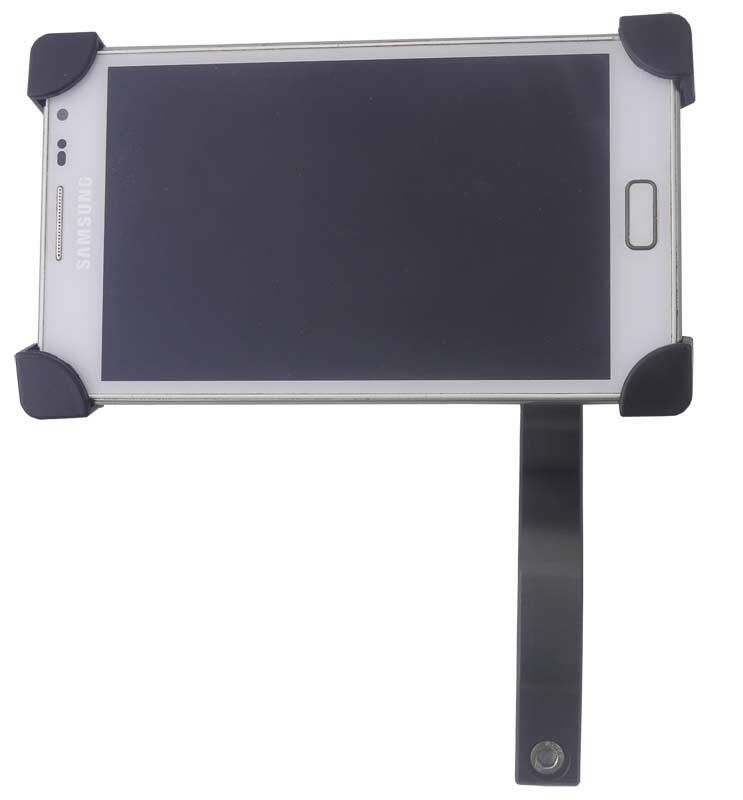 Allows for your phone to be in a horizontal or upright position or any angle in between. Suitable for handlebar diameters 22mm-32mm. Easily move from one bike to another. * The Desert Fox motorcycle cell phone holder is compatible with handheld devices that will fit the dimensions listed below. Verify the dimensions of your handheld device with a case/sleeve/skin when determining the overall size.